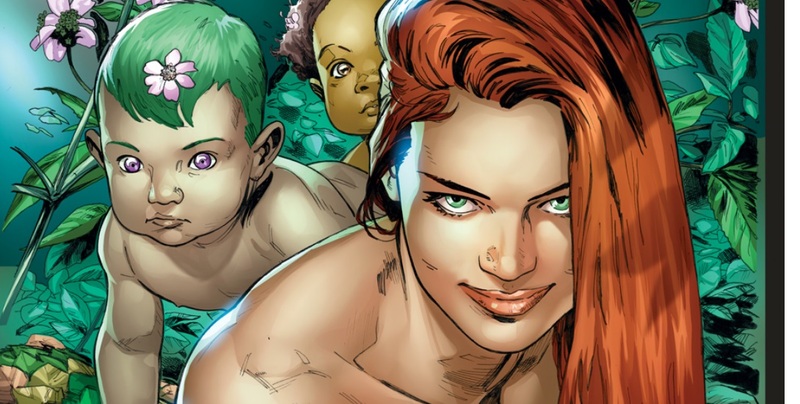 The latest installment of Amy Chu’s crack at a Poison Ivy solo run is finally here, but the book is starting to hit a few speed bumps. Seeing as how this is likely a litmus test for the character getting an ongoing series, improvements need to be made, lest die hard fans keep scratching their heads and wondering why there is no mention of the character on the Rebirth slate. Clay Mann’s art remains gorgeous, but he had an assist from Stephen Segovia this month. As good as Segovia is, people have gotten used to Mann and his artwork is one of the selling points of this mini-series. Transitions between the two are more than noticeable, making me hope Mann has ample lead-in time for the next issue. While Pam successfully creates plant/human hybrid babies for some reason, the police continue their investigation into the murders of her co-workers, which we know she did not commit. She struggles to keep her aggressive impulses in check and doesn’t always succeed. It’s just getting really hard to root for her as a protagonist when she is still killing people. Sure, the guy may have been a horny sleazeball, but he didn’t deserve death. Somebody call Batman already. 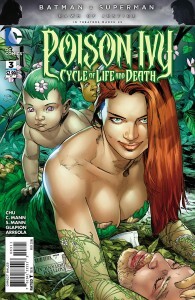 This issue lacks the focus of the first two and the story isn’t really advanced. I hope things pick up considerably in the remaining three issues. At least Catwoman makes an appearance.